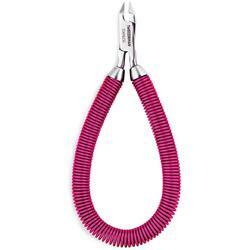 A new take on the traditional cuticle nipper! 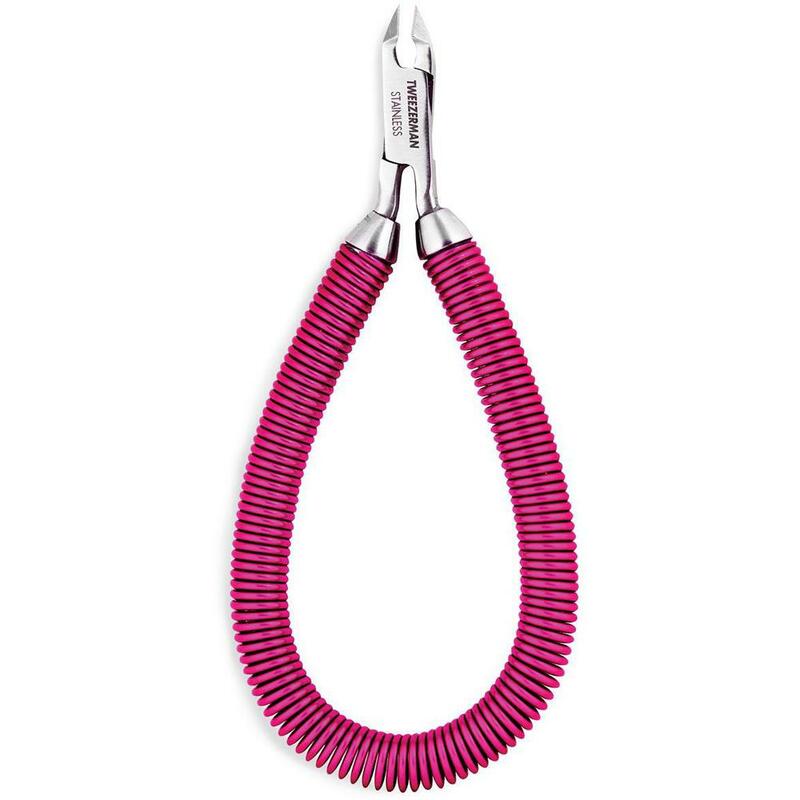 Tweezerman’s Grip & Snip Spiral Spring Cuticle Nipper features a spiral grip for the ultimate in style, comfort and control. Comfortable handles and precision blades make maneuvering around the nail to snip hangnails and dead skin build-up a cinch. The coil structure maximizes grip and offers a defined surface structure all over which reduces slip under any kind of condition. Tension is high enough to open the nipper safely under any condition of handling. Closing force is small and nearly constant all along the lever stroke. 2.54" x .9" x 6.32"
Squeeze to snip. Push back cuticles and carefully trim excess skin.